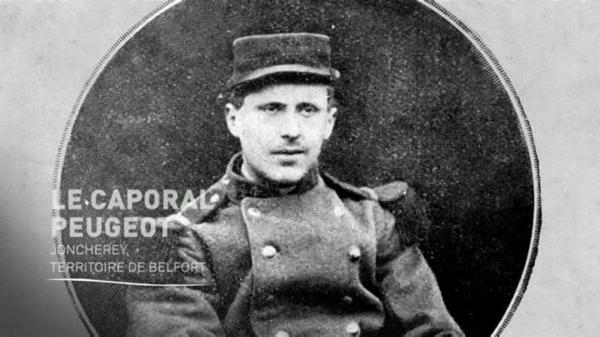 Caporal Peugeot, 1er mort pour la France ce matin du 2 août 1914 à 10h07, à l’âge de 21 ans. This entry was posted on 02/08/2014 at 20:22 and is filed under documentos históricos. You can follow any responses to this entry through the RSS 2.0 feed. Both comments and pings are currently closed.